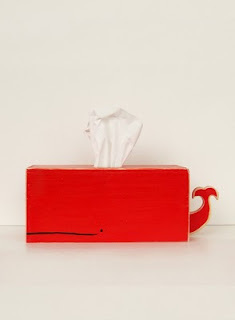 Dispense your facial tissue in style with this lovely handcrafted wooden whale. Complete with tissue releasing blowhole, this sperm whale is sure to add charm and class to your toilet tank or study. 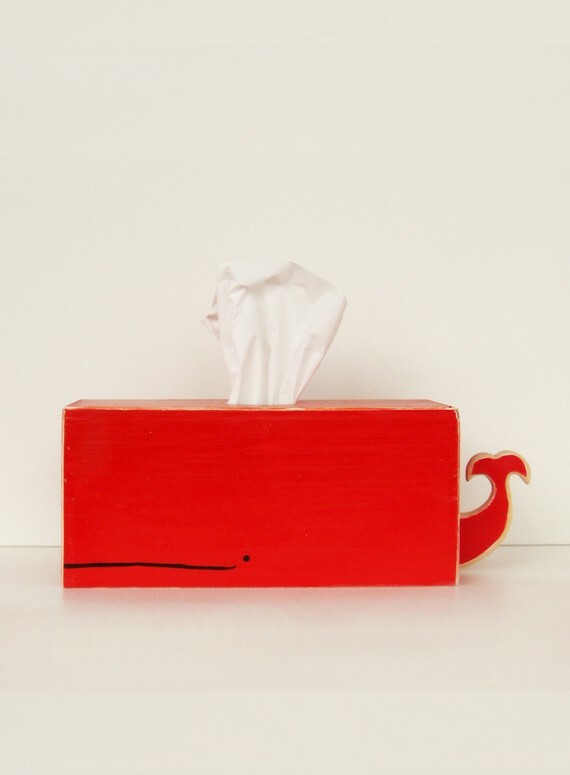 Their solid wood construction and individually tested for proper tissue release engineering are sure to last as long as you will. 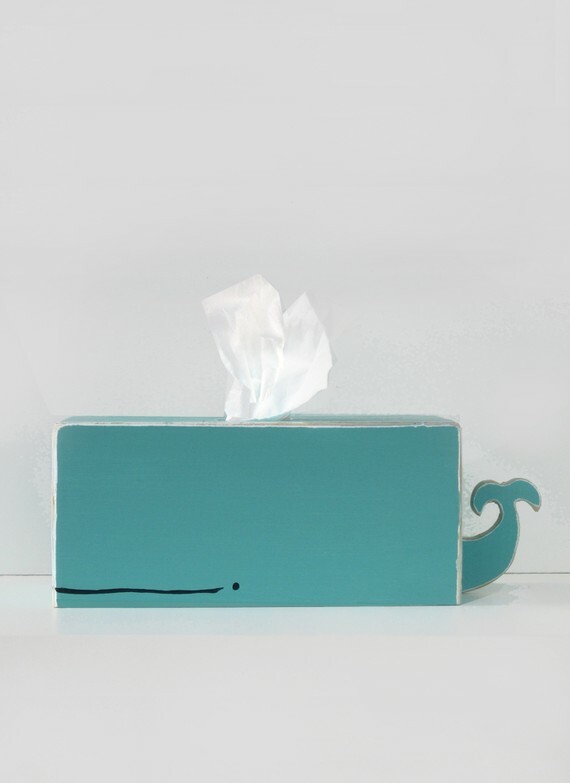 Each whale is completely hand cut, hand sanded, hand painted, and hand constructed which requires several hours of loving attention per whale. 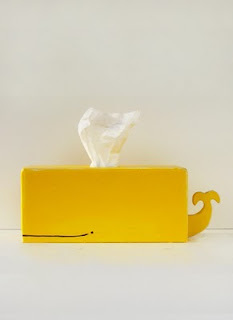 These are, in fact, functional and unique works of art. The wood is purchased from a local lumber store who buys directly from sustainable forestry companies in the United States.